It hardly seems possible that it is more than two decades since Bill Shankly died. But the legacy he left us is there for all to see today. Even in times when we are fighting for a Champions’ League place instead of aiming for something better, it probably cannot be argued that if it had not been for Shankly’s intervention Liverpool might still be just a “sleeping giant” looking back on better days. I am not underestimating the role Bob Paisley (and others) played because Bob was around throughout Bill’s reign. But Bill was the catalyst the club needed at the time, the man who lit the blue touch-paper and watched it burn into something special. Even today people talk about Shankly in revered tones. A new generation has grown up since Shanks passed away but everyone knows and recognises the role he played in building Liverpool up to become the “bastion of invincibility” that was one of his most famous quotes. Shankly stories have become legendary. Maybe some are true and maybe some are not. But if you were ever fortunate enough to be in his presence (and most of us as mere supporters could not be), his infectious enthusiasm and passion for the game was a memory that stayed with you long after any meeting was over. But what also stayed with you was his honesty and his humility and those are qualities that unfortunately not all of today’s top managers can claim to possess. Today’s pampered professionals with their over-inflated wallets and egos don’t know how lucky they are. They climb off luxury coaches and into luxury cars and rarely have to organise the football part of their own lives. But in the late-60’s and early-70’s it was quite common for the players to be seen on the same trains as the supporters, not going to the game of course but certainly on their way home. If Liverpool had been playing at places like Southampton or Ipswich, the official party would usually travel on a scheduled train into London, where a coach would be waiting to drive them on to Euston for the final leg of their journey. I remember one such journey back into London from East Anglia when a group of us were having an argument about a goal Liverpool had scored a while back. Although I wouldn’t have had the nerve to do it myself, one of us opened the door to the compartment where Shanks was sitting with the rest of the backroom staff and asked “Excuse me, Bill … you know that goal so-and-so scored (I can’t remember now the game or the player involved), did the cross come from the right or the left?”. And the answer came back immediately without pause for thought. Paying attention to detail was one of the great things about Liverpool’s success, If you look after the little things, the big things sometimes look after themselves. I have lost count of the number of times I have read a book written by a Liverpool player in which he incorrectly described an incident or a goal. Sometimes they even got the bloody match wrong. One of Tommy Smith’s books referred to a European match against opponents Liverpool had never even met! But I suppose to them it was just “another day in the office”. Supporters are more likely to remember incidents than players perhaps? But if you had asked Shankly about any game Liverpool had played while he was in charge, I think there’s a fair chance he would have remembered everything that needed remembering! A group of us travelled up by minibus to spend a couple of hours at Melwood in the summer of 1971. The appointment had been kindly arranged by Tom Saunders, the Youth Development Officer for the club at that time. Usually Melwood was pretty accessible in those days if you made an appointment first. There certainly wasn’t the secrecy that seems to be attached to it these days. The team was busy preparing for the new season. It was an important time. The great team of the mid-60’s had been broken up and several new players had arrived to make names for themselves like Ray Clemence, Larry Lloyd & John Toshack. There was also a further addition, a young man who had recently been bought from Scunthorpe United and that man of course was Kevin Keegan. As the players took a break from their training, Bill Shankly spotted our little group standing on the sidelines and made straight for us. I think he always loved being the centre of attention but certainly not in an arrogant or conceited way. Wasn’t it Paisley who once said that Bill used to wear shoes with steel tips so that everyone could hear him walking down the corridor?! He stayed and chatted with us for several minutes. He signed autographs, posed for photographs and answered questions. But there was one question he wouldn’t be drawn on. For all our curiosity about the new arrival from little Scunthorpe, he wouldn’t say a word. Our curiosity was genuine but none of us really knew how good this player might be. Bill did though … and that’s why he wouldn’t talk about him. He knew talent when he saw it and he knew what Keegan had to offer and what an impact he would make. But he wasn’t prepared to discuss it with us. I think I’m right in saying that Keegan never played a reserve match for Liverpool. He just went straight into the first team when the season opened against Nottingham Forest a few weeks later, scored a goal, made a nuisance of himself and never looked back. I don’t know whether Shankly ever saw Keegan play before he signed for Liverpool. I suspect not because Bill wrote in his autobiography “everybody on our training and coaching staff saw him play” which perhaps suggests that he himself had not? I think that side of things was left to his scouts and backroom staff. A high-profile manager would have attracted attention by going to a lower division game. But Andy Beattie, who had been a team-mate of Shankly’s at Preston and was working as a part-time scout for Liverpool, never stopped talking about him. Other clubs became interested until Bill knew he had to make his move. He later described the £35,000 fee as “robbery with violence” and he wasn’t far wrong! At the end of Keegan’s first season at Anfield, Liverpool were chasing the championship. A wonderful run of 13 wins and a single draw had seen them move into a very strong position as the season neared its close. But defeat in the penultimate league match at Derby left things wide open again with Derby, Leeds & Liverpool still in with a chance of taking the title. Many supporters who remember the pain of losing the last match against Arsenal in 1989 probably don’t know that the same opponents cost us the championship in 1972 as well. Only a year after depriving us of the cup, Arsenal stood in our way of the title as well. Two days after losing to Leeds in the F.A. cup final, they faced us at Highbury. On the same night Leeds were at Wolverhampton. A Leeds victory would have given them the Double but good news came through in the second half and the chant from the visiting fans of “Leeds are losing” got through to the players. Liverpool upped the tempo. Only a victory would do. With three minutes left, John Toshack put the ball in the net and we all went wild. But the goal was disallowed for offside. As the final whistle went, there are two clear memories that remain. One is of Alan Ball jumping up and down in front of the players’ tunnel ‘celebrating’ the fact that Liverpool hadn’t won the League; the other was my own reaction. In much the same way as that little Leeds fan reacted after their recent relegation, I was inconsolable. If we had won and Leeds had won, there would have been no tears. But Leeds lost. We were so close to the big prize. It’s strange when you look back sometimes. If we had won at Highbury on that fateful night, we would have been playing in the European cup. If we had been playing in the European cup, we couldn’t have won the UEFA cup a year later! 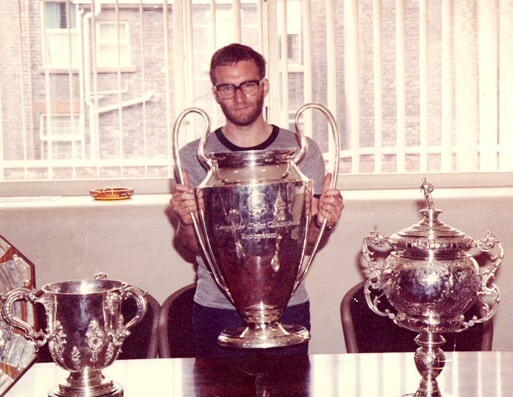 And I know that league and European double in 1973 meant so much to the supporters as well as the players and their manager because we had waited a long time since our last major success in 1966. Shanks described his 3rd title in 1973 as his most satisfying because it had been done with a new team. But I know that winning the UEFA cup meant a lot to him as well because it put Liverpool’s name on a European trophy for the first time. He would have one last crack at the European cup, one that ultimately ended in disappointment but one that gave me another special Shankly memory. I travelled over to Luxembourg with a friend to watch our first round tie against the minnows of Jeunesse d’Esch. You didn’t have to a member of some silly travel club then. You didn’t have to fill in endless forms about how you were going and when. You just went! But we didn’t have tickets and in a tiny stadium that might have been a problem. But we located the hotel where the players were staying and arrived in the reception and waited for the players to return from their morning training session. 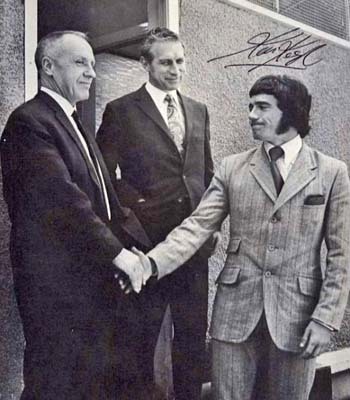 Just as he had done at Melwood in 1971, Bill walked over as soon as he saw us with his arm outstretched. “Hello boys, how are you? I see Everton lost last night”. And they had too, in some meaningless Anglo-Scottish tournament against one of the Dundee clubs I think. But he knew … and he wanted to make sure that we knew as well! I never felt comfortable asking for comps but if you’re a long way from home and worried about not getting in, sometimes you just have to do it. Bill assured us that if we still hadn’t got tickets by the time the coach arrived at the stadium, he would make sure we were sorted out. As luck would have it, later in the day we met two Englishmen who were working in Luxembourg and who kindly fixed us up, so we didn’t need to take Shanks up on his kind offer. But we still appreciated his gesture a lot. A year later on a day that shocked the football world, Bill Shankly suddenly and dramatically announced his retirement. But such was his huge personality, it became clear that it wasn’t going to be an easy parting. He continued to go to Melwood for a while, which was within walking distance of his home. I am sure it was with great sadness that he wrote in his book that he “felt there was some resentment”. He stopped going to Melwood and he stopped watching home matches from the Directors’ Box at Anfield. But he still went and watched from other parts of the stadium, mostly from the Main Stand but one day he kept a promise he had made to go on the Kop. I remember the day well. We were playing Coventry. The crowd was well below capacity and the game was nothing special, a 1-1 draw. But midway through the first half from my seat in what was then the Kemlyn Road stand I became aware of a commotion going on towards the Main Stand side of the Kop. We were all bemused about what was going on but then a chant of “Shankly, Shankly” broke out and it all became clear. He had just turned up, paid to go in like anyone else and stood as anonymously as he could (which is a misnomer if ever I heard one!) and watched the game from there. Other comments in his book make it clear how hurt he was by the distance that appeared between himself and his former employers. Maybe there was fault on both sides, I don’t know. But it can’t have been an easy situation to deal with. But the sadness he felt is made very clear by comments like “I would have loved to be invited to away matches, but I waited and waited until I got tired of waiting”. Two years after he retired, Liverpool again reached the UEFA cup final. He was invited to travel as the club’s guest but the gesture came “too late for my peace of mind”. He was also put in a different hotel to the one used by the official party and found that “quite insulting”. I’m not surprised. Whatever differences there were between the club and its former manager, they certainly weren’t shared by the supporters. To us he was still the King that he had always been. After he had retired, the London Branch of the Supporters’ Club on whose committee I was then serving wanted to give him a retirement gift. He seemed embarrassed to be asked at all but said he would like a simple radio. The presentation took place after a home game in the Autumn on 1974 and was held in The Vines public house (sometimes called the Big House), which was being run at that time by ex-boxer Alan Rudkin. It was packed but Shanks was in his element. Many of the stories told about him are probably apocryphal but one I can testify to is of a young lad who was making his first visit to Liverpool. This was the day and the occasion it happened. I heard the “What’s it like to be in Heaven?” comment myself. Two years after he retired, “Shankly by Bill Shankly” was published. It was an enthralling read. I dearly wanted to get my copy signed by the great man. I would never have had the nerve to do anything about it on my own but somewhere in his book he had said that supporters sometimes just turned up at his house. With the support of a colleague from work who wasn’t really interested in football but was Scottish (so at least that was a start! ), we made our plans. We both worked for the Railway and at that time the Adelphi Hotel was run by British Transport Hotels, one of the Railway’s subsidiary companies. So that’s where we stayed one night before Liverpool played at home to Bristol City. The following morning we took the bus out to West Derby and around mid-day I walked very nervously up his drive and knocked on the door. A few seconds later the door opened and there he was. Now if he had just signed the book and shut the door, I would still have been the happiest man in the world. But he didn’t do that. He invited us in. He had never seen us before but he invited us in. Can you imagine any man in a similar position doing that? Can you imagine any man in a similar position living in a modest semi-detached house, the house he continued to live in until his death and where his lovely wife Nessie continued to live until hers? No, neither can I. He invited us into his back room, introduced us to Nessie as if we were long-lost relatives and sensing our nervousness quickly put us at ease. At his request Nessie got us something to eat and then we just sat down and talked … or rather he talked and we listened! It wasn’t that we didn’t have questions to ask because I am sure we did but we hadn’t expected to get so far so we hadn’t prepared anything. But Bill was a great orator. That was why the Press loved him so much. And I guess that was why we the supporters loved him so much too because he never let us down and he always told us the way things were. He had a lunchtime radio programme after his retirement that had been recorded earlier in the week. His special guest that day was Denis Law and as he sat and listened to the recording he enthused about Law the player and Law the man. He sat in modest surroundings with mementos and trophies in cabinets around the room but not in an ostentatious way. He had deserved them anyway so why shouldn’t be show them off?! I suppose we were there an hour, maybe a bit more. We lost track of time because it was such an extraordinary experience. But then there was another knock on the door and it was one of his daughters with two of his grandchildren. We knew we had to make a move but there was never any suggestion from him that it was time to go just because someone else had arrived. But we knew it wouldn’t be right to stay after his family had arrived. In any case we had a match to see! Bill had already signed my book and he shook hands with us for one final time as he showed us to the front door. We walked down that drive in a daze. I don’t think either of us could believe what had just happened. And yet I know from what I have read and heard that we weren’t the only supporters who were granted the same privilege. Bill Shankly was often described as "A Man of the People". I knew that already but that day he proved it to me beyond any doubt. I last saw Bill Shankly in Paris in 1981. The hotel I was staying in was just across the road from the one Liverpool’s official party was using for the European cup final. Remembering what he had written about the trip to Bruges in 1976, I was pleased to see that this time he hadn’t been shunted off somewhere else. I didn’t bother him because as you can imagine it was bedlam in the reception after the game ! But Bill & Bob Paisley were just standing quietly in a corner of the reception chatting to each other. I still have that vivid picture in my mind because nobody could have dreamed that before the end of the year Bill would be gone. He just seemed indestructible, immortal even. That summer I commissioned a special tie with the three European cups on underneath a Liver Bird and the dates of those three successes. They were just for friends really and it was a very small ‘run’, only 4 or 5 dozen, done incidentally by a company run by Dave Mackay, the old Tottenham favourite. We sent a few of those ties out to special Liverpool people we felt deserved them. I remember being delighted to see Bob Paisley wearing his when the tv cameras covered our game at West Ham that Autumn, on the 26th of September 1981 to be exact. 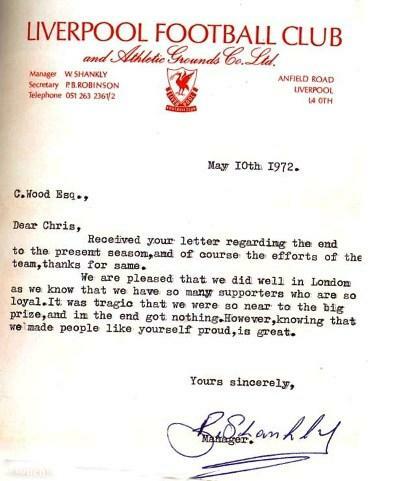 Bill Shankly was on that complimentary list as well … but the letter asking him to accept one was never sent. Shortly after that game at West Ham, Bill suffered the heart attack from which he subsequently died a day later. I had been playing football and heard the news that he had been taken to hospital on my car radio. But the next morning’s bulletin told us the news we had all dreaded hearing. I was never a friend of Bill Shankly, expect in the way we all were. But I was lucky enough to meet him and feel the genuine warmth of his nature. I will never forget how special he made me feel by writing to me all those years ago or how wonderful his hospitality was when I turned up unannounced at his home. As today’s managers live in their penthouses and mansions surrounded by security, I like to think that if Bill had been manager today he would never have changed the way he lived or the way he treated people. 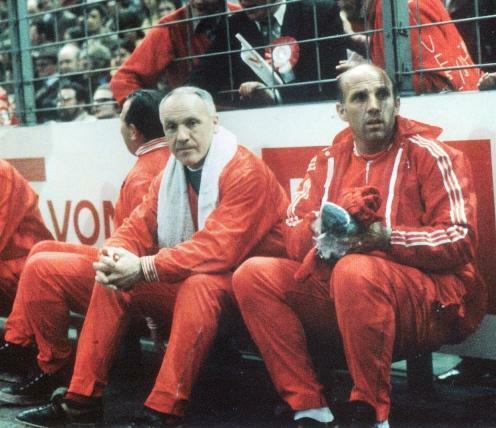 I know beyond any doubt that not only was Bill Shankly a great manager … he was also a great man. "We had won the Cup and given an exhibition of football the way it should be played. I handed my raincoat to a BBC producer. 'You carry that,' I said. 'Look after it. If you don't, you will have to pay for it, and I got in Rotterdam. and the fare to Rotterdam is very expensive. Christ, you will be proud to carry Bill Shankly's coat down to the dressing room. I'll get you in the programme next season if you make a good job of it.'"